This month's book selection is short (90 pages) and powerful. In this small book, Planned Chaos, Professor von Mises describes how various government intervention programs become counterproductive and destroy the economic activity that they are intended to help. Of all of the Mises books, this one serves as the best introductory volume. 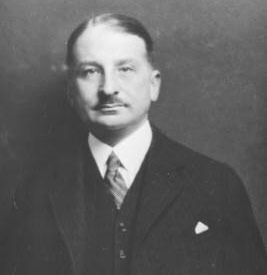 Many of Mises' works are more complicated and rely on abstract economic theory. Planned Chaos reflects these themes, but with more focus on concrete political issues. All of Mises' works reflect much more depth than the spin one receives (from both sides) in modern political debate. 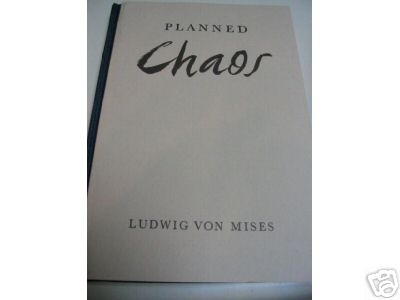 After reading Planned Chaos (or any of Mises' books), one obtains a thorough grounding in ultimate issues. This grounding provides us with stability and confidence as we become immune to the relative drivel that pours out of the mouths of modern leftists. Being so perversely ''non-political'' is itself a political act. A ruling intelligentsia, whether in Europe, Asia or Africa, treats the masses as raw material to be experimented on, processed, and wasted at will. "We need somebody to put rat poisoning in Justice Stevens' creme brulee - - that's just a joke, for you in the media." Well, Ted [Kennedy] himself was born into a reprehensible group, which he has never repudiated, namely, the Kennedy family. The real scandal is that they have never repudiated him, either. In that flock, the black sheep is the bellwether. For reasons unknown, people on the left seem to take inordinate pride in being able to make verbal parallels -- whether or not there is any parallel in substance. [W]hether or not America's at war with Iran, Iran's already at war with America. Hat tip to Blonde Sagacity for pointing out a new poll showing Republican Lynn Swann leading Democrat Ed Rendell in the race for Pennsylvania governor. Swann's lead is small, but the Pittsburgh Post-Gazette somehow has reversed the results, giving Rendell the lead. Two days after the initial article appeared, the "mistake" has not been corrected. I have always stated that I hate polls. When you hear of polls, always remember the exit poll fiasco of November 2004. We can expect more dishonest exit polls this year. Polls should not matter to us, as our decisions are determined by economics, history, culture and other substantive issues. The left's decisions are determined partially by the bandwagon effect, of which polls play a major role. Every aspect of Western culture needs a new code of ethics - a rational ethics - as a precondition of rebirth. update - Amazon is really screwing up. The buttons above are supposed to reference books by Eric Hoffer. I would bet that there will be another major terrorist attack in Europe before the end of the year, following Madrid in 2004 and London last year. It wouldn’t surprise me if Britain were hit again. There will be more civil disturbances in France, and more emigration from the ever more Islamified Netherlands. To the list of polities destined to slip down the Eurinal of history, we must add the European Union and France’s Fifth Republic. The only question is how messy their disintegration will be. It's very hard to stop people who have no shame, that undermine our system, that have never been acquainted with the truth. The New York Times, which posted the most outright lies during 2005 of any MSM/DNC outlet, is off to a fast start with the first lie of 2006. It seems that the Times has been caught posting a photo of a WWII artillery shell next to a damaged house in Pakistan, as proof that the Americans launched a missile at civilians. American Thinker comments at length. Did the Times know that the photo was staged? Did they care? They care now that they have been caught. "Without the internet and blogosphere, probably they would have gotten away with it." As the fictional character from my previous post stated . . . . . "we can't be sure of anything we do . . . anything we see." Click here for the list of lies of 2005 and the winning totals broken down by media outlet. MSM Lies of 2005 - what does it mean? I repost the list here [following some new analysis]. As I stated in a subsequent post, there are many forms of MSM/DNC bias. The lie is only one form of bias, but it is the easiest to expose. In this list, I did not include simple mistakes. I included only those examples where the MSM/DNC made a false statement that was easily disprovable and where the MSM/DNC failed to correct the lie or repeated the lie on an ongoing basis. I also included instances where the MSM/DNC simply removed all reference to the initial lie without acknowledging the initial falsehood. While this list may not prove the existence of a "conspiracy" on the part of the MSM/DNC it does prove that we cannot trust what we read or see. The best analogy I could think of comes from an episode of the old Star Trek television series, where the crew found themselves on a planet inhabited by creatures that could create "illusions" in the minds of their victims. "Their power of illusion is so great we can't be sure of anything we do . . . anything we see." That is the point of this post. We cannot be sure of anything we see in the MSM/DNC. There are many battles to come, including the elections of 2006 and 2008 as well as continuing efforts in the War. In each of these encounters we must always remember that we cannot trust the MSM/DNC's version of events. We cannot get discouraged by apparent setbacks or polls. We must adopt views and opinions only after the greatest consideration without undue weight in favor of what we might have seen on television or in a newspaper. I counted 54 lies during 2005 [not counting the ones I missed]. The MSM/DNC outlet with the most lies was the New York Times (including its columnists) with 9 major lies during 2005. AP finished second with 6. Honorable mention to the Washington Post (and its columnists) and the L.A. Times with 5 apiece. CNN and NBC (including MSNBC) tied for fourth place with a disappointing three lies apiece. With that hindsight-aided commentary out of the way, here is the original post as it developed during 2005. The MSM war on truth and America never ends. I have decided to begin cataloging MSM lies as they appear during the year. I will add each one to this post so that we will have them in one place for future reference. This post should make interesting reading by December. 1) January 14, 2005. Pulitzer prize winning cartoonist Matt Davies falsely writes that Conservative pundits are "lining up" to defend Armstrong Williams and the administration. Hat tip to Michelle Malkin. The post-election meeting he describes between the Secretary of Defense and the Joint Chiefs of Staff did not happen. The only civilians in the chain-of-command are the President and the Secretary of Defense, despite Mr. Hersh’s confident assertion that the chain of command now includes two Department policy officials. His assertion is outrageous, and constitutionally specious. Arrangements Mr. Hersh alleges between Under Secretary Douglas Feith and Israel, government or non-government, do not exist. Here, Mr. Hersh is building on links created by the soft bigotry of some conspiracy theorists. This reflects poorly on Mr. Hersh and the New Yorker. Mr. Hersh cannot even keep track of his own wanderings. At one point in his article, he makes the outlandish assertion that the military operations he describes are so secret that the operations are being kept secret even from U.S. military Combatant Commanders. Mr. Hersh later states, though, that the locus of this super-secret activity is at the U.S. Central Command headquarters, evidently without the knowledge of the commander if Mr. Hersh is to be believed. There's just one thing wrong with the sympathetic spin about the anti-war Marine. It's all dead wrong. This much is true about Raya: The 19-year-old man did in fact serve with the Marines' 1st Intelligence Battalion's motor transport unit as a driver in Iraq. But contrary to the impression left by initial media reports, Raya had never seen combat. And he was not headed back to Iraq. He had been transferred to a new unit scheduled for deployment to Okinawa. "During our investigation, we found he wasn't due to go back to Iraq, never faced combat situations and never even fired his gun," Stanislaus County Sheriff's Deputy Jason Woodman said. Raya was high on cocaine at the time of the ambush, according to police reports. He was reportedly affiliated with the prison gang Nuestra Familia. Investigators found photos of Raya wearing gang colors and a shopping list in his bedroom safe that included body armor, assault rifles, and ammunition. The drug use, the gang ties, etc. - all went unreported in the MSM in the MSM/DNC attempt to undermine the war effort. 4. January 26, 2005. Washington Post uses the term "centrist". The Washington Post describes several Senators that voted against Rice's confirmation as "centrist", including Tom Harkin, Mark Dayton and Carl Levin. Who wouldn't the Washington Post consider "centrist" [aside from Republicans, that is]? Who would the Washington Post refer to as "leftist"? 5. Late January/ Early February 2005 - Easongate. CNN executive Eason Jordan falsely claims that American soldiers are targeting journalists in Iraq. MSM/DNC refuses to cover the story until Jordan is forced to resign by the resulting blogosphere storm. 6. January 30, 2005 - L.A. Times prepares slanted story and headline in advance of the election. The headline had to be scrubbed from later editions due to the success of the elections, but the original version was rescued from the memory hole by S & C.
I include this item not because a headline was "slanted" [that happens every day], but because the slanted headline was prepared in advance of the actual events, thus making the headline a lie. Also, the L.A. Times' subsequent attempt to make the headline disappear down the memory hole consitutes another lie. 7. January 31, 2005 [This lie actually occured in 2004, but the story didn't break until January, 2005] - Bill Moyers misrepresents old testimony of James Watt. See also here and here. 8. February 10, 2005 - BBC reports a bogus story of a man who was jailed by the Israeli Army for refusing to shoot children. The only problem is, the story is false. BBC later retracted the story, but refused to back off claims that Israeli policy is to shoot children. Hat tip to LGF. 9. Ongoing lie dating back to 2003 and continuing probably throughout 2005 - "There were no weapons of mass destruction in Iraq." Without getting into the arguments over the justification for the war, this myth is simply false. American and coalition forces found enough WMD's to kill more people than the number that died on 9-11. The real question is, what happened to the WMD's that we didn't find and that were taken away while we were debating in the UN in 2002 and early 2003.
update - The New York Times admits (on 3/13/05) the existence of WMD's in Iraq at the time of the U.S. led invasion, but only for the purpose of attacking Bush over something else. Once NYT has finished attacking Bush, the WMD's disappear down the memory hole. update - What has been found in Iraq. 10. February, 2005. PBS documentary falsely claims that Joseph McCarthy (R-WI) had something to do with the investigation that discredited Alfred Kinsey and the Rockefeller Foundation. 11. February, 2005. NYT columnist Maureen Dowd falsely claims to have been denied a White House press pass while Jeff Gannon received such a pass. Dowd failed to tell her readers that she was talking about two different types of passes. Dowd was denied a permanent pass while Gannon received a daily pass (the type that anyone can get). 12. February 25, 2005. Washington Post cartoonist Ted Rall falsely attributes comments on LGF to LGF itself. 13. March 6, 2005. AP uses a video of an unrelated car to bolster the claims of the Italian communist Sgrena regarding the shooting by American troops. 14. March 7, 2005. CNN falsely translated the words of Italian communist shooting "victim" (Sgrena) so as to misrepresent the speed that Sgrena's car was traveling when it approached the U.S. military checkpoint. CNN then removed the mistranslation from the story without acknowledging the "error" after Michelle Malkin noted the false translation. 15. March 13, 2005. The Philadelphia Inquirer, as if on cue from Ted Rall (see lie #12), has falsely attributed quotes from the comments at LGF to LGF itself. 16. March 19, 2005. The Minneapolis Star Tribune falsely claims that Little Green Footballs tried to deny any credit to Powerline for Powerline's role in exposing Rathergate. 17. Late March, 2005. Person(s) unknown created and circulated a fake memo purporting to show that the Republican Senate leadership would like to capitalize on Terri Schiavo's murder for political purposes in the next election. The MSM/DNC immediately condemned the Republicans but fell silent once the story started to implode. Update. Although a Republican lawyer now has stepped forward and taken credit for the memo, The Washington Post's original story attributing the memo to Republican "leaders" remains a lie. 18. March 28, 2005. CBS falsely reports that Terri Schiavo died and included in the story the claim that her husband was at her side at the time of death. While it was a mistake, rather than a lie, to print the obituary before Terri's murder is complete, the lie occurs because CBS includes a reference to Michael remaining at her bedside. CBS has no idea whether that will happen or not. Michael's faithfulness to his wife (and fitness to decide whether she lives or dies)continues to be at issue in the ongoing proceedings. 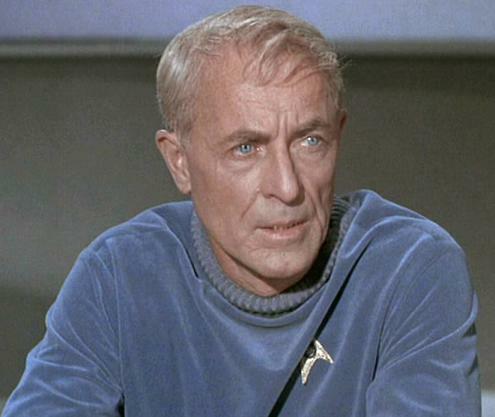 CBS has obviously made up its mind and doesn't mind fudging an obituary to see that it happens. Hat tip to Michelle Malkin and Glenn Beck. 19. March 31, 2005. The New York Times acts in concert with Columbia University to cover up abuse by Arab professors of pro-Israel students. 20. April 1, 2005. The AP lied in stating that Sandy Berger destroyed only "copies" of crucial intelligence documents and that the originals remain in the government's possession. In fact, each of the three copies that Berger destroyed contained unique notes that now are gone forever. "Obviously he reviewed the notes on the five documents and destroyed the three that contained information damaging to the reputation of the Clinton administration." 21. April 11, 2005. AP published a story this morning that described Senate confirmation hearings that have not yet taken place. All such references then disappeared from the online version once AP was outed by Drudge and Lucianne. Maybe this story will earn AP another Pulitzer. 22. April 12, 2005. L.A. Times columnist invents a story about the Bush administration dispatching William Bennett to the Vatican to drum up support for the Iraqi invasion two years ago. In fact, no such thing occurred and William Bennett made no such trip. Click here, here and here. 23. Mid - April, 2005. A Boston Globe writer invents a story about a seal hunt in Canada (including graphic detail) and passes it off as actual news. Click here, here and here. 24. April 29, 2005. MSM/DNC refers to Bush' proposal for different indexing of SS benefits for upper income recipients as a "cut" in benefits. That is not mere spin, it is a lie. See Michelle Malkin and the Loudest Cricket for a summary of the liers. 25. April 30, 2005. The L.A. Times edited a Reuters report by omitting the speed of Guiliani Sgrena's car as it was fired upon by American soldiers. The omitted piece of information was crucial to the entire story. 26. May 3, 2005. The Detroit News falsely reported that a terrorist has been deported, even though the terrorist remains in the U.S. This story follows months of biased coverage and whitewashing of the terrorist threat and terrorist prosecutions in Detroit. 27. May 12, 2005. CBS falsely reports that Ken Starr opposes the Republican position on the filibuster rule. In fact, Starr was strongly critical of the Democrats' tactics and CBS falsely attributed that criticism to the Republicans. 28. May 12, 2005. Sacramento Bee columnist resigns after her habit of inventing characters is exposed. 29. May 14-15, 2005. Newsweek runs a false story that U.S. soldiers flushed the Koran in front of Islamic detainees. 15 people die in the "Newsweek riots." Newsweek lied - people died. 30. Mid-May, 2005. Linda Foley, President of the Newspaper Guild, falsely claimed that American soldiers are targeting journalists in Iraq. She made this claim even after Eason Jordan went down in flames on a similar claim earlier in 2005. She made this claim even though a terrorist training manual places a high priority on terrorist killing of journalists. 31. June 28, 2005. AP wrote in the past tense about a Bush televised address that had not yet been delivered. AP, of course included its usual spin. H/T Michelle Malkin and LGF. 32. July 1st, 2005. Molly Ivins falsely claims that Americans have killed more Iraqi civilians than Saddam Hussein ever did. Ivins later retracts and apologizes after she is outed by an indignant blog stormlet. 33. July 9, 2005. AP inserted words into a Tony Blair quote that Blair never said, thus weakening the anti-terrorism message in the wake of the July 7th attacks. [My original post misnumbered the lie as #32.] AP "corrected" a day later, but the damage was done. 34. July 15. 2005. L.A. Times falsely asserts that the White House Supreme Court short list is composed only of "White Men." This false assertions is later airbrushed without acknowledgment in the online edition. [The original post is misnumbered as #33]. 35. July 6, 2005. The New York Times misquotes a military officer in an effort to make Bush' policies look bad and undermine the war effort. The Times would continue to feel backlash throughout July. 36. July 16, 2005. Seattle Times misrepresents a Senate report in an effort to rescue Joseph Wilson's reputation and salvage some sort of case against Karl Rove. 37. August 3, 2005. L.A. Times refers to the Federalist Society as "somewhat secretive." This statement is a lie. 38. August 12, 2005. New York Times finally attempts to spin the Air America scandal, but in doing so they edit out an admission from an Al Franken radio interview and they put words in Michelle Malkin's mouth. 39. August 15, 2005. The Detroit News inflates the numbers of "Palestinians" living in the Detroit metro area so as to inflate Muslim political influence. 40. August 16, 2005. Various MSM/DNC outlets, including NBC news, refer to the Israelis giving Gaza "back" to the Palestinians. But the "Palestinians" never had Gaza in the first place. Israel took it from Egypt in 1967. 41. August 19, 2005. Paul Krugman of the New York Times repeats the Florida recount lie. Krugman would spend at least one more column trying to explain this column. 42. September, 2005. Michael Kinsley reveals that CNN has coached its guests to sound angry during discussions of Katrina. 43. September 4, 2005. A Washington Post book review falsely claims that the biography in question accused Charles Colson of "cashing in" on his ministry. In fact, the book makes no such claim. 44. October 14, 2005. NBC's Today show stages a canoe stunt in which the reporterette pretends to be sitting in dangerous New Jersey floodwaters. In fact, her canoe was sitting on the ground in 4-6 inches of water. 45. October 16, 2005. ABC news falsely claims that weekend rioters in Toledo were white. 46. October 26, 2005. Warner Brothers movie "North Country" falsely claims to be a true story, yet claims to have been inspired by the Anita Hill affair, even though the events on which "North Country" are based took place 6 years prior to the Anita Hill affair. 47. October 26, 2005. USA Today alters a photo of Condoleezza Rice by adding demon eyes. 48. October 26, 2005. The New York Times published a small portion of a letter from deceased Corporal Jeffrey Starr, while omitting the remaining portions. The omitted portions supported the U.S. war effort. The Times sought to use the one small quoted portion as ammunition in its ongoing anti-war campaign. 49. October 29, 2005. The New York Times falsely represents Robert Novak to be a war hawk who sought to support the administration's war position and sought to obtain retribution against Joseph Wilson. Novak's anti-war position is well known. 50. November 11, 2005. MSNBC falsely claims that Bill O'Reilly advocates the terrorist destruction of San Francisco. 51. November 11, 2005. Chris Matthews misrepresents the administration's reasons for attacking Iraq and removing Hussein from power. The administration never claimed that Hussein planned 9/11, but Matthews and the MSM/DNC continue to use this strawman as a basis to snipe at the President. 52. November 19, 2005. Harper-Collins publishing house alters a photograph of an illustrator so as to satisfy anti-smoking PC concerns. The Columbia Tribune reported this on November 19th. 53. November 23, 2005. "Cartoonist" Walt Handelsman falsely claims that Bush and Cheney are smearing John Murtha's war record. 54. December 13, 2005. Various MSM/DNC outlets, including UPI and the San Francisco chronicle, falsely state that 30,000 civilians have died in Iraq since the American invasion. These outlets falsely attribute this statement to President Bush, who said nothing about civilians, but spoke of all Iraqi deaths, including military deaths. The Chronicle then changed its headline after the blogosphere pointed out the lie, but failed to note the change. UPI continued repeating the lie through December 30, 2005. As they say, if you want a friend in Washington, get a dog. Well, Clinton has got himself a dog. He now has a friend who will never betray him. If only the dog could say as much. People used to say, "Ignorance is no excuse." Today, ignorance is no problem. After all, you have "a right to your own opinion" -- and self-esteem to boot. no God, and Darwin is his prophet." I never cease to be amazed at how often people throw around the lofty phrase "social justice" without the slightest effort to define it. It cannot be defined because it is an attitude masquerading as a principle. "No tyranny is so irksome as petty tyranny: the officious demands of policemen, government clerks, and electromechanical gadgets." Mercy to the guilty is cruelty to the innocent. Iran, Libya and Syria are irresponsible states, which must be disarmed of weapons of mass destruction, and a successful American move in Iraq as a model will make that easier to achieve. After years of living in apartments, I complained to my brother about the problems of being a home owner. His reply was: "If you think being a home owner is tough, you should try being a business owner." baby." 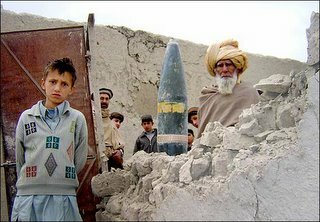 Today it abhors calling abortion "baby-killing"
In October 2001 Faizal Aqtub Siddiqi, president-general of the International Muslims Organization, warned that the bombing of Afghanistan would create 1,000 Osama bin Ladens. In April 2003, Egypt's President Mubarak warned that the bombing of Iraq would create 100 bin Ladens. So right there you got a 90 percent reduction in the bin Laden creation program -- just by bombing a second country!